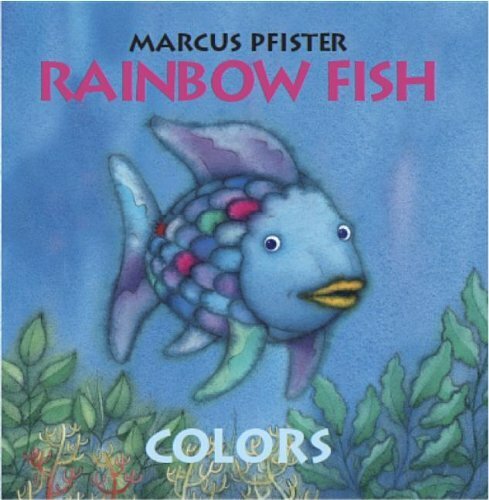 The Rainbow Fish by Marcus Pfister is a classic preschool book and always seems to be a kid-approved book too! 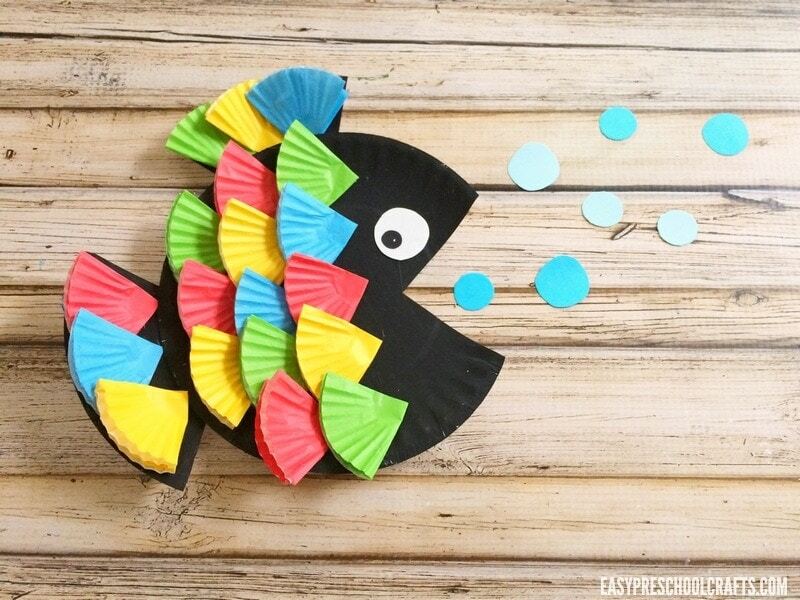 It is the inspiration behind this Rainbow Fish Craft. 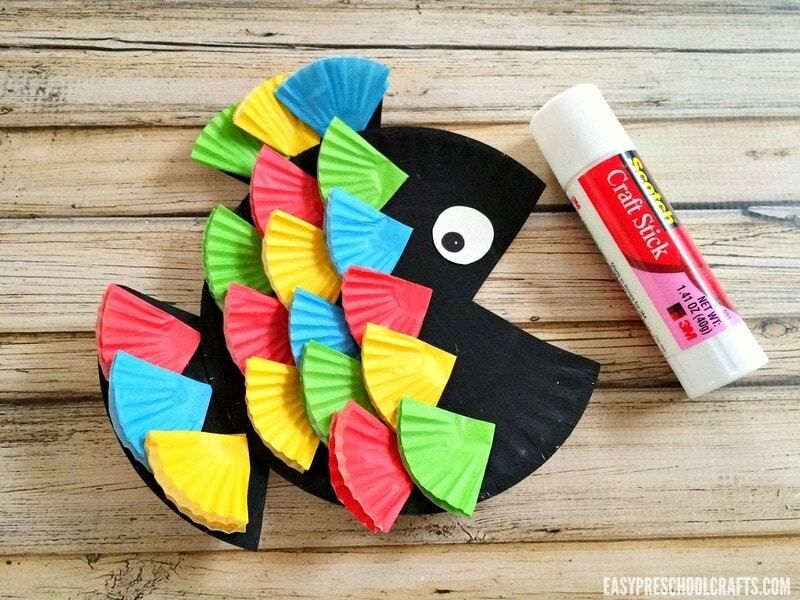 There are many ways to make a rainbow fish preschool craft and this one uses little cupcake liners and a paper plate which makes it a bit different from other ways The Rainbow Fish can be brought to life. Watercolor and tissue paper are often used to make a craft related to The Rainbow Fish book but I love using different materials. 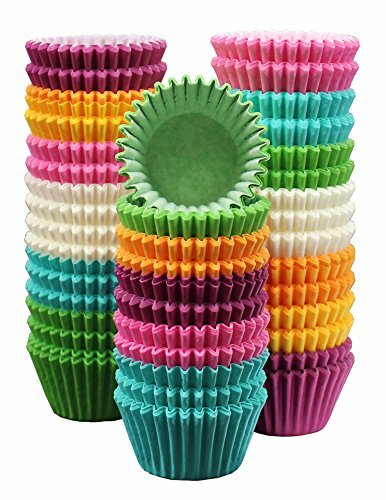 For this craft, we used four different colors of the little muffin liners but you can use any colors that you’d like. 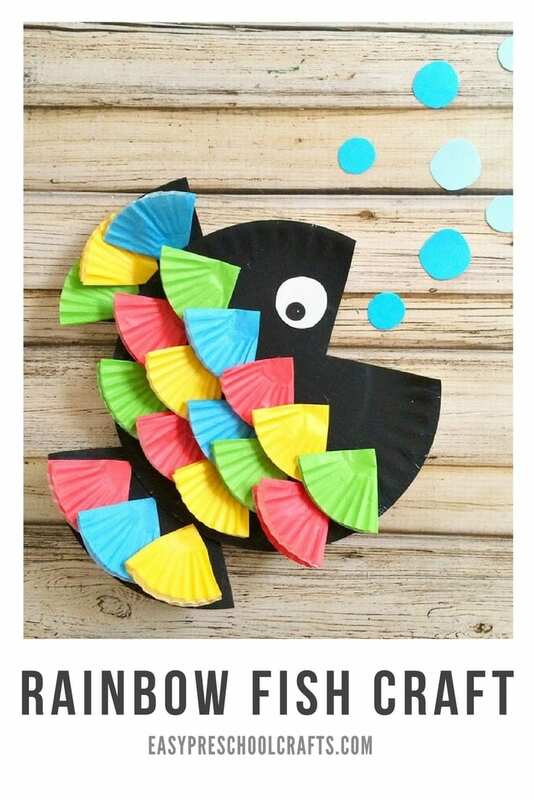 To get the rainbow fish vibe, having a collection of colors works best, but this is a fun paper plate fish craft to make whether you’re reading the book or not! 1. 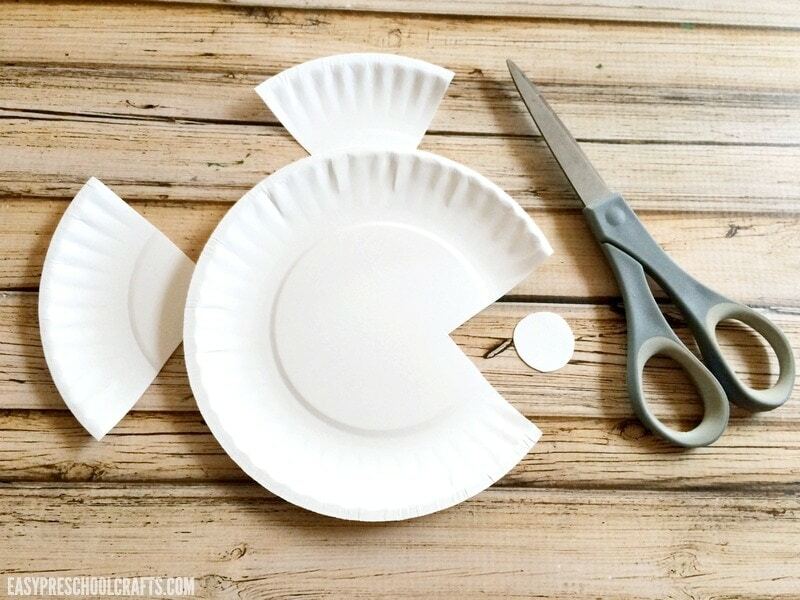 Cut a triangle out of the side of one of the small paper plates and set aside. 2. Then cut two triangles out of the second paper plate and a small white circle for an eye. 3. 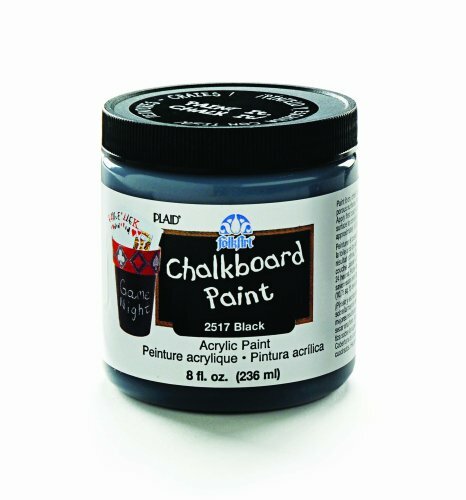 Paint the plate and the three cut out pieces with black chalk paint and let dry completely. 4. While the paint is drying, fold the cupcake liners in half twice so you have rounded triangles shapes. 5. Glue one triangle onto the back of the fish and one on the top of your fish to make the fish’s tail and fin. 6. 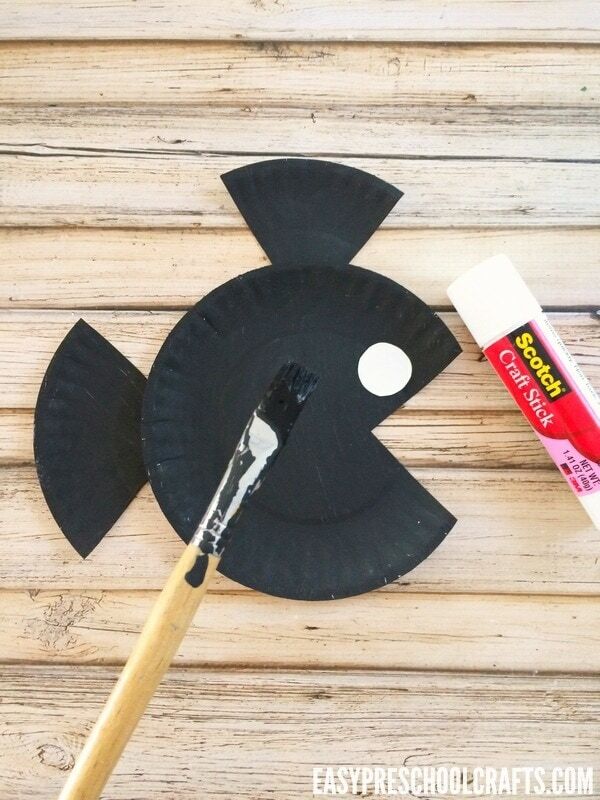 Glue the white circle above the fish‘s mouth for the eye. Draw a black dot to complete the eye. 7. Now start gluing the scales (cupcake liners) onto the fish. 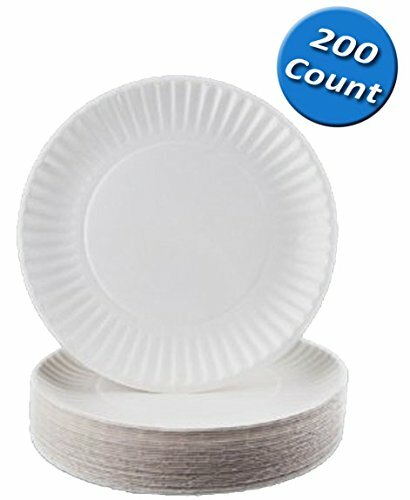 Start behind the eye and glue a row of muffin cup liners along the length of the plate. Then do the same, creating a row of scales behind the first. Once the plate is full of scales, add a few to the tail as well. 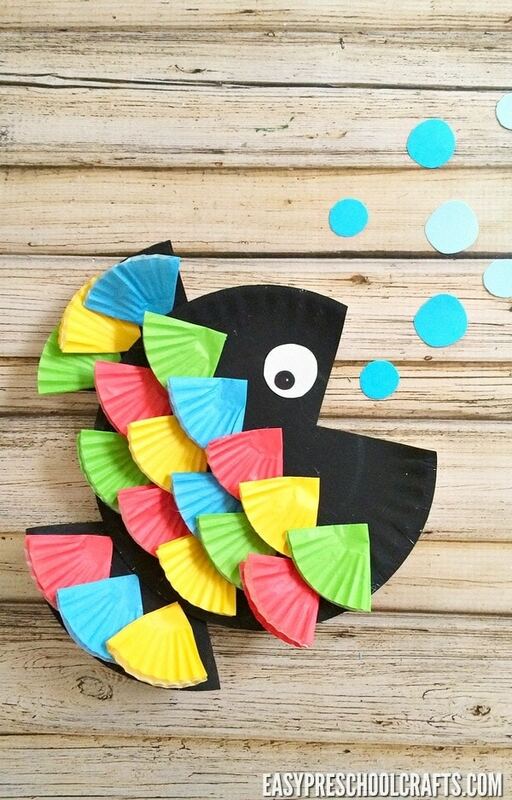 The great thing about using different colors of cupcake cake liners is that you can promote other learning while your child brings the Rainbow Fish craft to life. The kids can help fold them for fine motor practice and you can work on patterning with the colors for the scales! 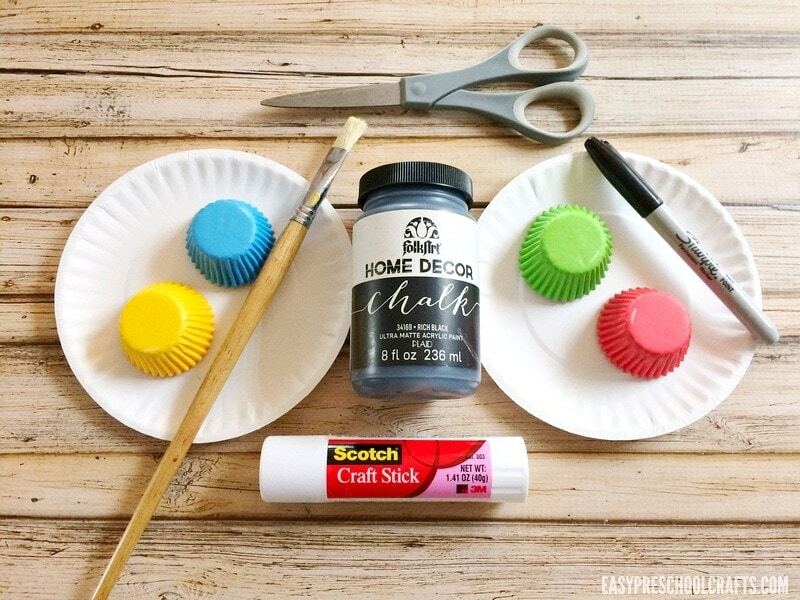 Pairing a great children’s book with an easy preschool craft is a wonderful way to spend time with your kids. 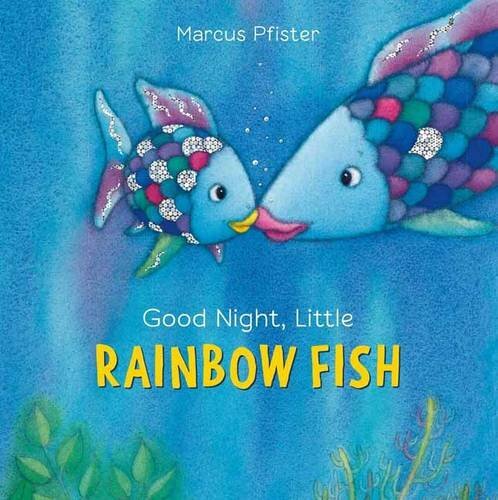 So snag a copy of your favorite Rainbow Fish book, read together, and then make your own Rainbow Fish Craft! 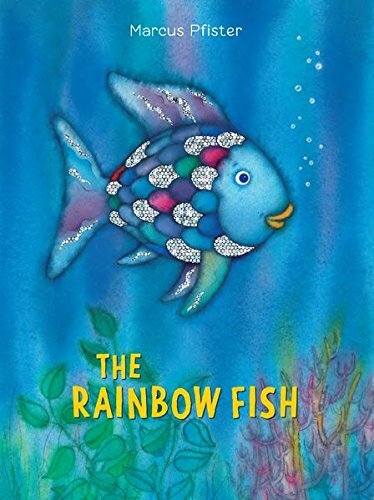 Click below to Pin this Rainbow Fish Craft! 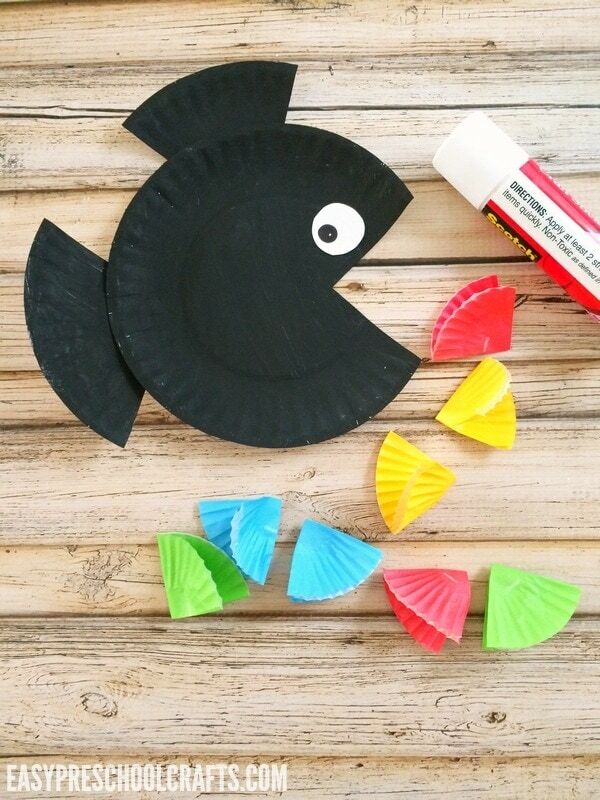 Previous Post: « Edible Fish Craft for Kids That’s Perfect for Snacktime!